Ladies marks and spencer linen short sleeve top with pocket excellent condition never worn. Classic semi fitted shirt with 4% elastane stretch - Button through - 3/4 sleeved. MARKS & SPENCERS SZ 16 PETITE Linen Dress. Condition is Used. Dispatched with Royal Mail 2nd Class. Marks And Spencer Size 16 Petite Beige Linen Top. Condition is Used. Dispatched with Royal Mail 2nd Class. M & S LADIES BLACK 3/4 SLEEVE COTTON STRETCH SEQUIN TRIM TOP - BNWOT. Black with blue, pink & mauve sequin trim. SIZE 12 - petite sizing - (more like size 10) length approx. 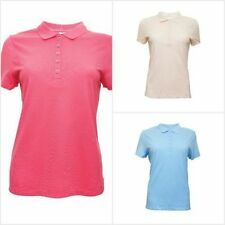 M&S COLLECTION Women's Pure Cotton Stretch Bib Detail Shirt NEW!! Lovely floral top from M&S Collection size 18 petite the yolk is white lace. It is brand new with tags. M&S Short Sleeve Denim look Blouse - Size 6 Petite, Blue - BNWT. 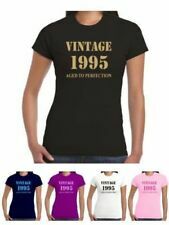 M &S Purples, Pink T Shirt UK 14 Beautiful smart t shirt that looks good on it own, or neat under a jacket. Easy care, label says machine washable and tumble dry, purple mix. Turquoise blue and yellow circle print with sequin detail short sleeve t-shirt top from Marks & Spencer. The circle print has five sequin circles of different sizes - shines under the sun / lights - looks pretty. M & S PRETTY PINK FITTED SHIRT. 3/4 SLEEVE. A CHARITY CLOSE TO MY HEART. (Label states Ivory - but looks a nice white). Petite semi-fitted v-neck top long sleeve. 100% cotton. Wash at 40 degrees. Do not bleach. High Iron. Tumble dry. Good used condition. It is from the petite range, perfectly proportioned fit for those of us 5'3" and under. A lovely olive green check top with 3/4 length sleeves. Not fitted and quite short, but not cropped. Centre back length approx 22 ins. Marks and Spencer Petite White T-Shirt Size 18. The t-shirt is cotton in white. It has a V neckline with stitched gathering at the bottom of the neckline and has short capped sleeves. The top is part of their petite range. Length: 23". Material: 100% cotton. A LADIES LOVELY STRIPED TOP FROM THE M&S COLLECTION. 10% of sale I will donate to the outstanding Marie Curie Cancer Care fund. Sleeve length ~ 11.5" / 29 cm's. Top length ~ 23" / 58.5 cm's. Pit to pit ~ 16" / 40.5 cm's. 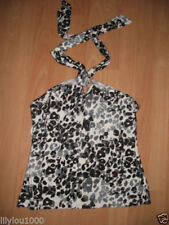 Pretty Marks And Spencer Per Una White Floral Top Size 12. (Like New). This lovely smock top has five front button fastening (as shown on my photos) with frill hem. Crochet detail on front, side zip fastening. Immaculate condition. M&S INDIGO Navy Blue Short Sleeved Top Size 10 (petite). Marks & Spencer Pink Dip Dyed Ladies Shirt. Size: 14 Petite. Hover any image to see it full size. 100% Cotton. Office & Stationary. Novelty Tea Towels. Marks and spencer cotton blue and white striped short length top. Would suit a petite size as arm length is shorter. MARKS AND SPENCER COLLECTION. BLACK BUTTONED SHIRT SIZE 8. STYLE NUMBER T43/1552N. FITTED STYLE.